I have my router table incorporated in my saw cart. I really like being able to use the fence that I already have for the saw. My shop is small, so a separate router cart was out of the question anyway. You mention the height as a concern. 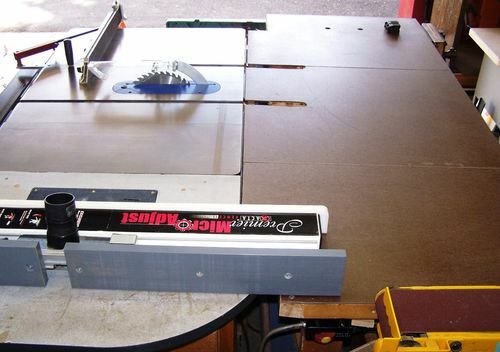 Do you feel your tablesaw is too high or too low? 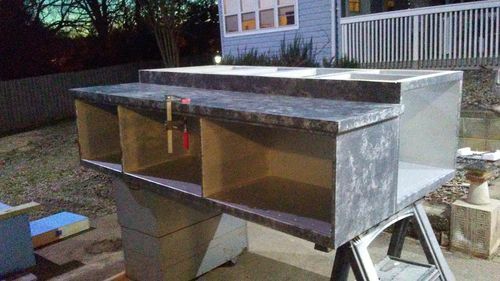 If you think it is too high, you could make the router table short enough to be stored under the extension wing. I have mine on the end of my table saw. If you do a YouTube search you’ll find plenty of folks using their router table as an extension on their table saw. Me too. Router is in the saw said to the right of the blade. I stand at that end of the saw, using it from the end, not on the normal operating side of the saw. Hopefully that is clear. No issues wijth my work bench, which is also my outfeed table, being to my right when I am working. If you post some pics of your set up maybe we can. See exactly what you are concerned about. As have said, many people have them and what also can be done is on the back side of your current fence, you can attach a hollow router fence that has the opening to allow the bit to travel into and also allow you to attach a dust collection hose to the back side as well. 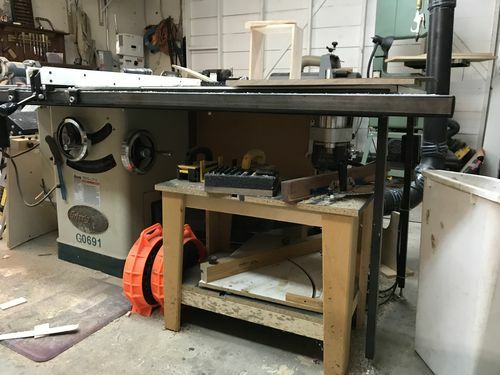 Having separate stations has some advantages for sure, but if something has give due to space constraints, building the router table into a table saw wing can be a useful space saver. I honestly don’t know where else I could put mine. Here’s what I’ve done. Been using it for about 8 tears. It’s fine. 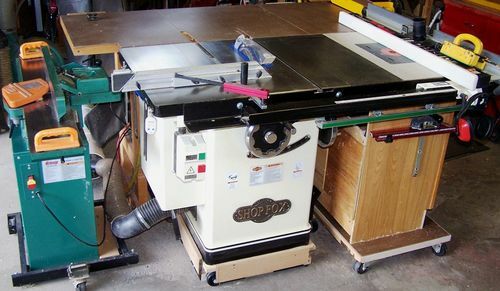 I am planning however to build a stand alone router table. Well here is where it is going. I would not want to alter my router table setup every time I wanted to do a table saw cut. I am not organized enough to do all my routing and cutting in batches. I tried that once years ago. Seemed like most of the time it was in the way for one reason or the other. If you are really hurting for space then maybe it makes sense. Just be prepared have to break down setups to use the saw/router when you least expect it. That is pretty much exactly how mine looks. I get along fine. So much better than hand held routing. It is a tradeoff as others have suggested – would be nice to have seperate set ups so you didn’t have to move the fence, etc. But life is full of tradeoffs. I try and plan ahead enough that I don’t need to use both the saw and router in sequence. So far so good. I have this set up in use and have for many years. Like you space is a premium. As others have mentioned it does come with the con that you cannot always work around a set up and use the saw. If height is an issue you can always build a new base cabinet for your saw and put it on top and make it whatever height you want. My current build will have twin tablesaws and the wing for the router all in one. With the same footprint as the single saw set up with extension wings being used now. Here is current progress on said build. The other thing to consider is that it is nice to have the whole saw surface as a table for the router when you are doing something large, like putting an edge on a table top. I did a short blog series on my DIY router table extension. After quite a bit of use, I can say that practically I’ve only run into a conflict once or twice where I couldn’t leave the router setup and still use the saw. Though with that being said, I typically leave the fence off and the router down when I’m not using it.